The LIHTC Group is a brokerage & consulting firm supplying affordable housing assets to investors nationwide. With offices in Chicago, Florida, and California, the LIHTC Group brokers have completed nearly $3 Billion in apartment building transactions across all 50 states and Puerto Rico. They have extensive experience helping buyers and sellers execute complex transactions involving state housing agencies and the procedures required for sale. 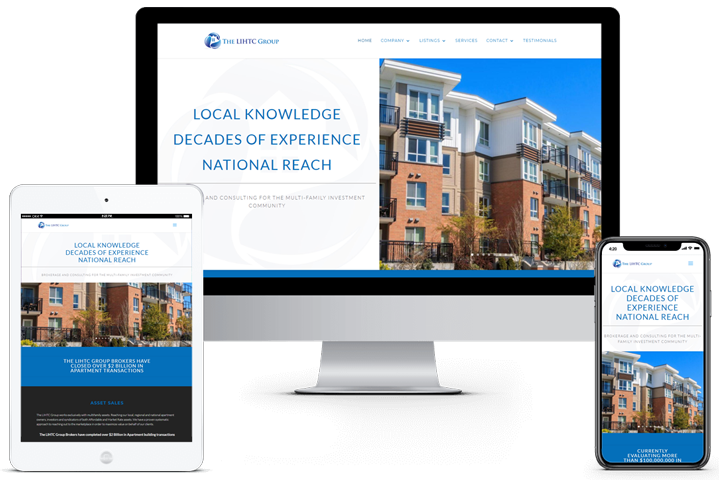 Clicks Web Design worked with The LIHTC Group to design their website and handles on-going updates to their listing sheets for their Constant Contacts email marketing campaign.